A kid was walking home from the school bus when a stranger approached him asking for directions. 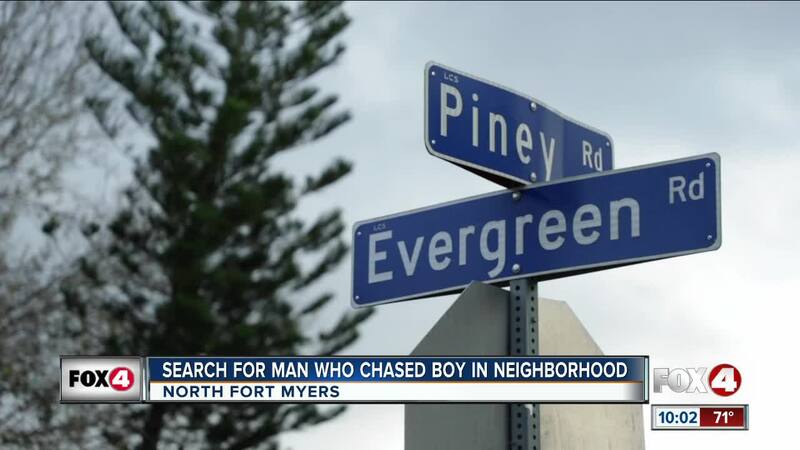 NORTH FORT MYERS, Fla. — The Lee County Sheriff's Office reported a child was walking home from the school bus when a man driving a pickup truck approached him near the First Baptist Church on Evergreen Road. The man asked the child for directions, then started to leave his vehicle. The child took off running toward the church and told his mother he saw the man start to chase him. The child's mother did not want to go on camera, but says her son is safe. The Lee County Sheriff's Office says this is still under investigation and has not arrested any suspect, but says the individual was wearing a black hooded sweatshirt with a white goatee. If you have any information call the Lee County Sheriff's Office at (239) 477-1000.